I'm noticing all my wreaths are starting to look the same. Ribbon or fabric wrapped around a wreath form with flowers or a bow off to one side. The thing is, I just can't seem to stop making them. They are quick, easy, and always turn out awesome! 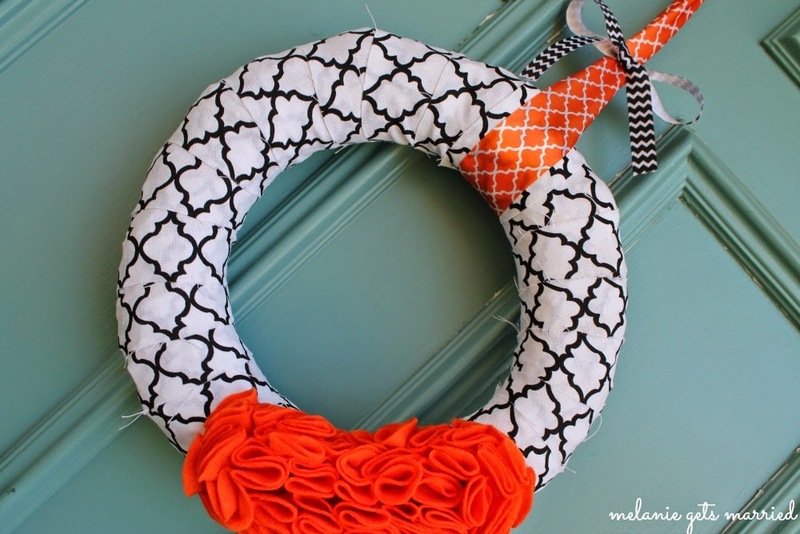 At this rate, I am making a new wreath every month, and that is perfectly fine with me. Whenever I see cute fabric, I think one of two things "this would be GREAT for a wreath!" or "this would be great for some pillows!" 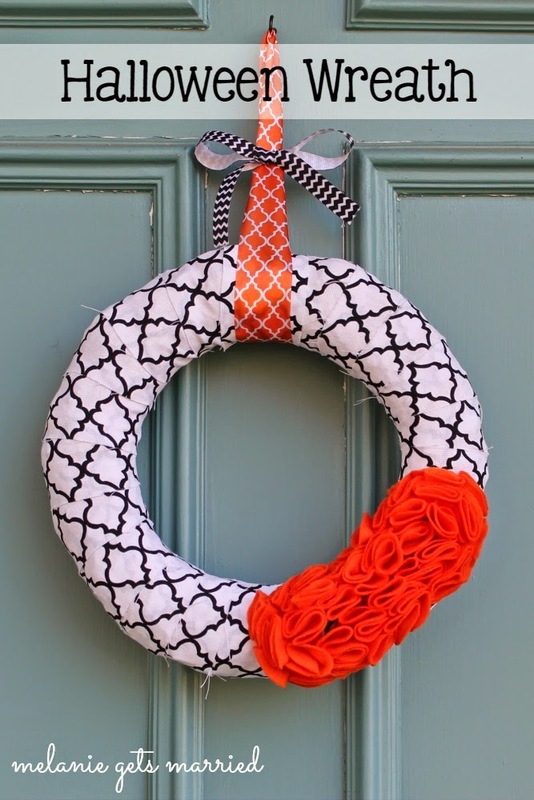 I have been eyeing this black and white fabric for a while and I thought it would be perfect with some orange flowers for a Halloween wreath (and even bought an extra just in case I want to make some pillows). Perhaps I'll try to switch things up a bit for my next wreath, but for now I hope you enjoyed this one! Oh, I love this one so much! It is absolutely beautiful! 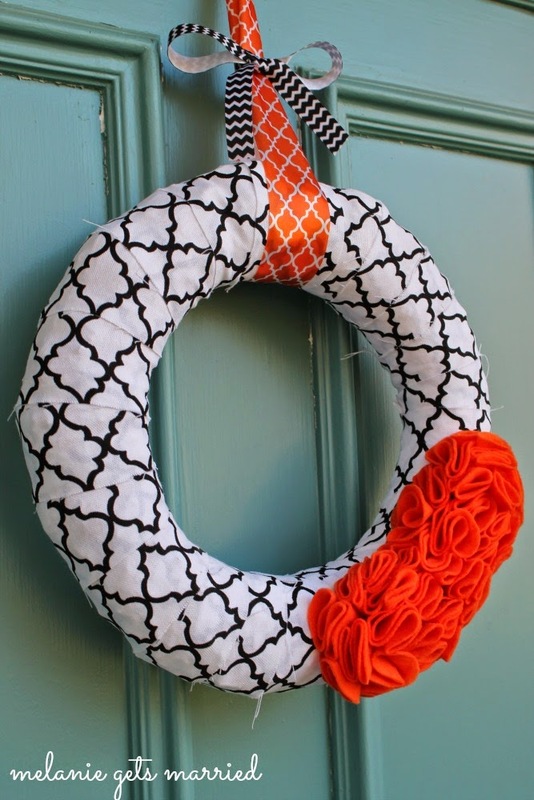 I have been wanting to make a fabric-covered wreath for a while now, and I think this may have just inspired me to finally do it! I love the quarterfoil! So pretty and fun! I love the combination of the patterned fabric and the bright orange. Looks great. I love the fabric and colors. Perfect for Halloween! Perfect colors for Halloween! 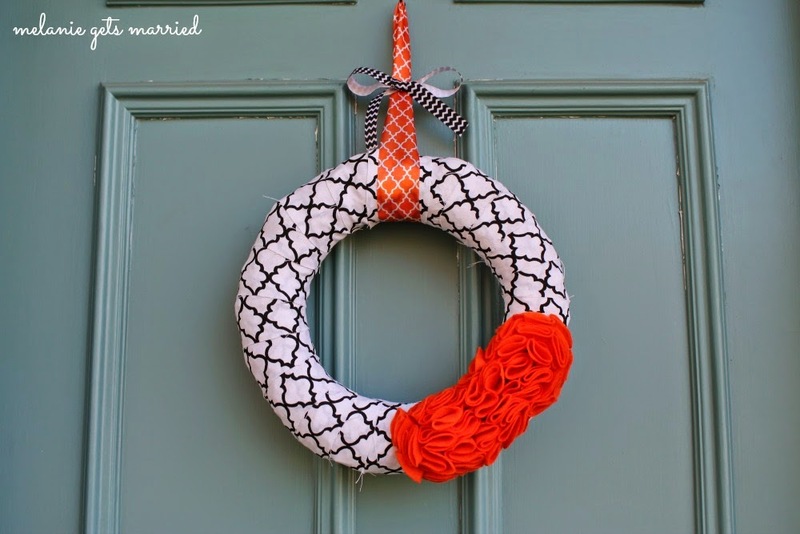 And I love the fabric wrapped wreaths! Thank you for sharing with us at the Merry Monday Link Party!